Stylish, Functional and Sturdy. Deluxe Leather Bag Organizers! Soft and 2.5 mm (0.09 in. 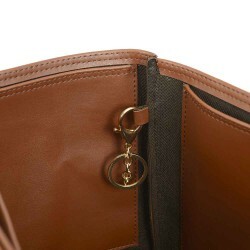 )thick high-quality grade vegan (faux) leather was used to make our deluxe leather purse inserts. 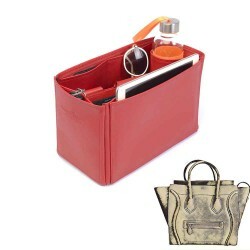 We use non-toxic and phthalate-free vinyl leather to make the organizers. 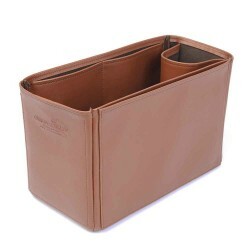 Soft and thick leather has been reinforced with the thick lining fabric to make the organizer sturdy. 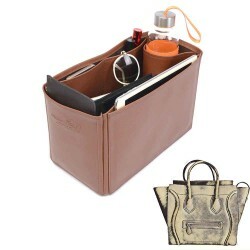 Deluxe leather bag organizers were designed and handcrafted by Original Club for the Celine handbag owners. 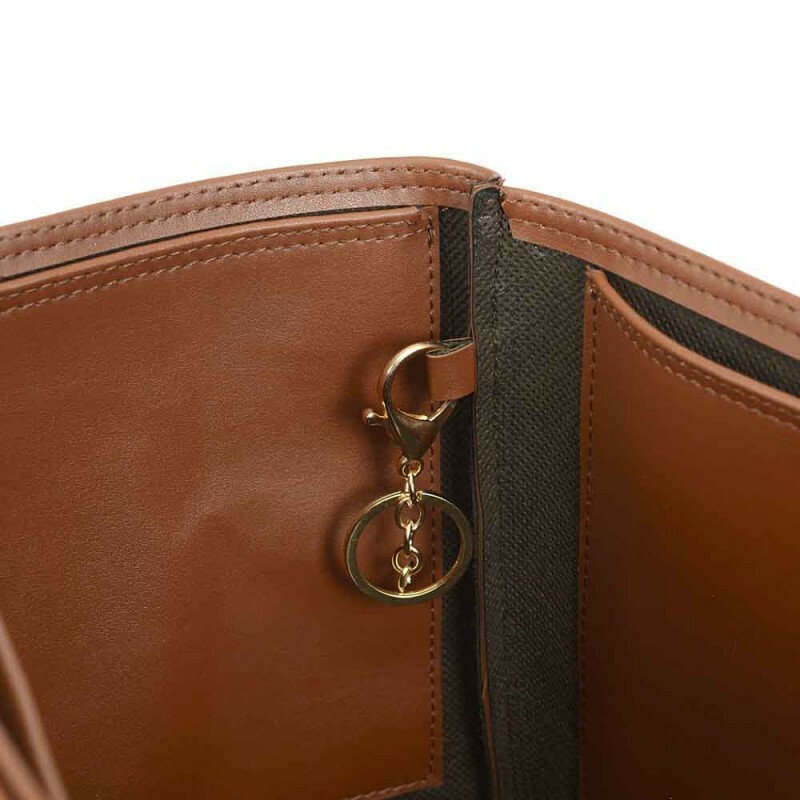 Our deluxe leather organizers come with the gold color metal key ring and lobster hook add-on attached inside the organizer to keep your keys organized and easy to be found in your Mini Luggage Handbag. Deluxe Leather Organizer lets you organize the content of your bag while keeping the shape and protecting the original interior lining of your bag. 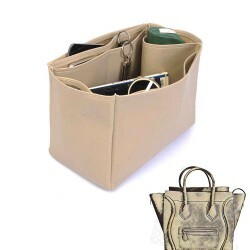 Leather insert organizes and protects your handbag with its luxurious and elegant look while perfectly matching with the lining of the Celine Mini Luggage Handbag. The deluxe leather organizer does not make your handbag look boxy when it is inserted into your bag and maintains the shape of your bag. 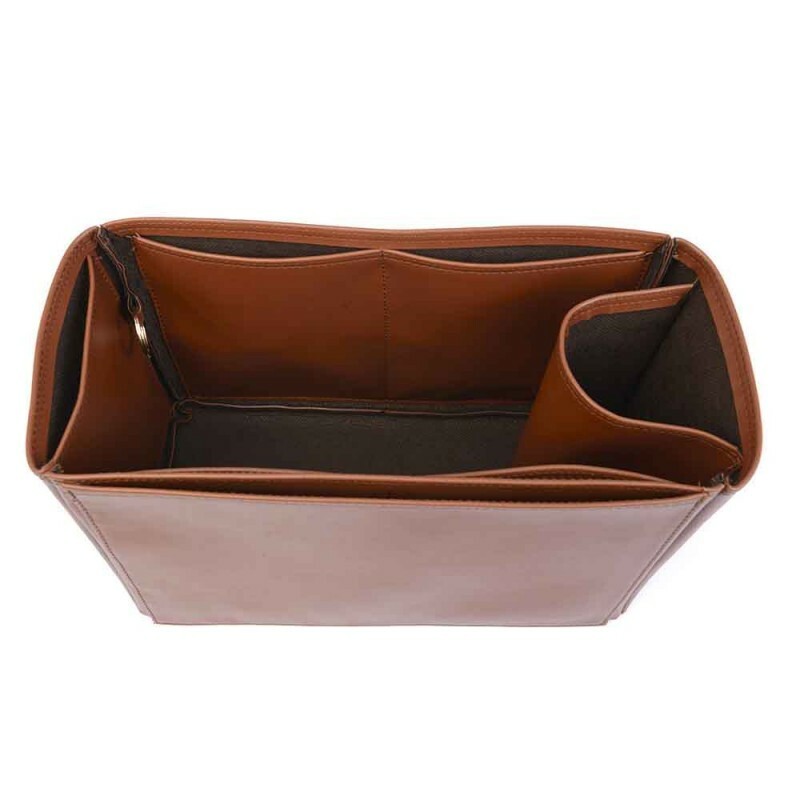 Deluxe Leather organizers contain no harsh plastics or cardboard sheetings which could harm the natural shape and material of the tote bags. 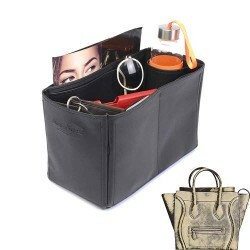 Thanks to the lightweight quality faux leather material, organizer protect the original shape of your handbag while keeping its unique form. Deluxe leather organizers were nicely and firmly finished with the same color stitching. 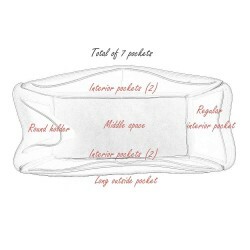 The corners and edges are soft with the inward facing seams. 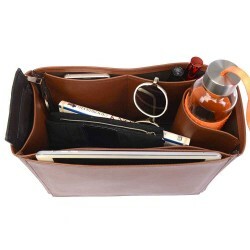 Our quality deluxe leather organizer is cleaning friendly and doesn’t contain any harmful toxins. 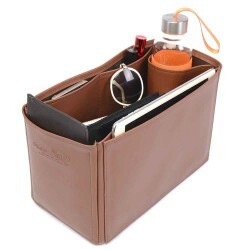 Pocket configuration: Pockets provide with quick access to personal belongings like cell phones, glasses, keys, etc… The organizer has 5 interior pockets (2 regular pockets on each long side and 1 regular pocket at the narrow side )which are wide enough to accommodate a typical big size smartphone. 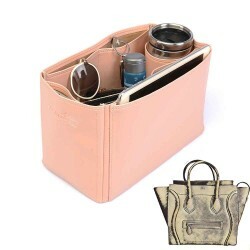 The organizer has 1 round holder to accommodate bottles and other circular stuffings. 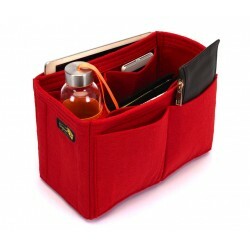 1 Long pocket at the long side of the organizer can accommodate tablets, slim type of laptops or books. The deluxe leather organizer has 7 pockets in total. 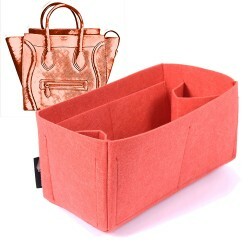 Fits in Celine's Mini Luggage bag model. 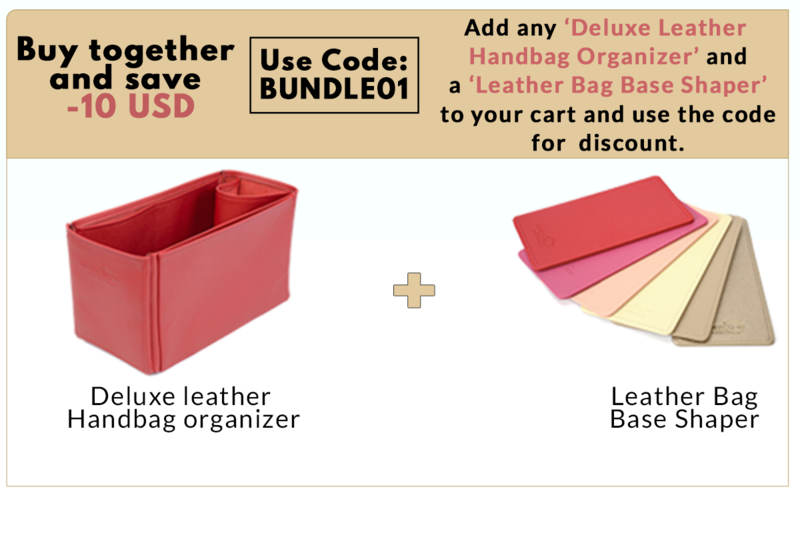 Order one item from Leather Bag Base Shapers and another item from Deluxe Leather Bag Organizers to get discount. 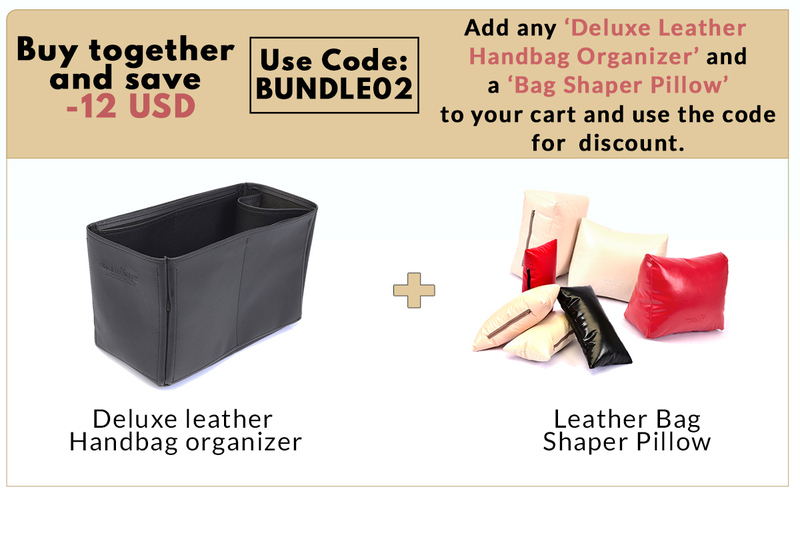 Order one item from Leather pillow bag shapers and another item from Deluxe Leather Bag Organizers to get discount. We recommend applying natural baby oil to prevent the leather material against cracking by the exposure of temperature and sunlight over time. A damp cloth should be enough to remove any dust and grime. 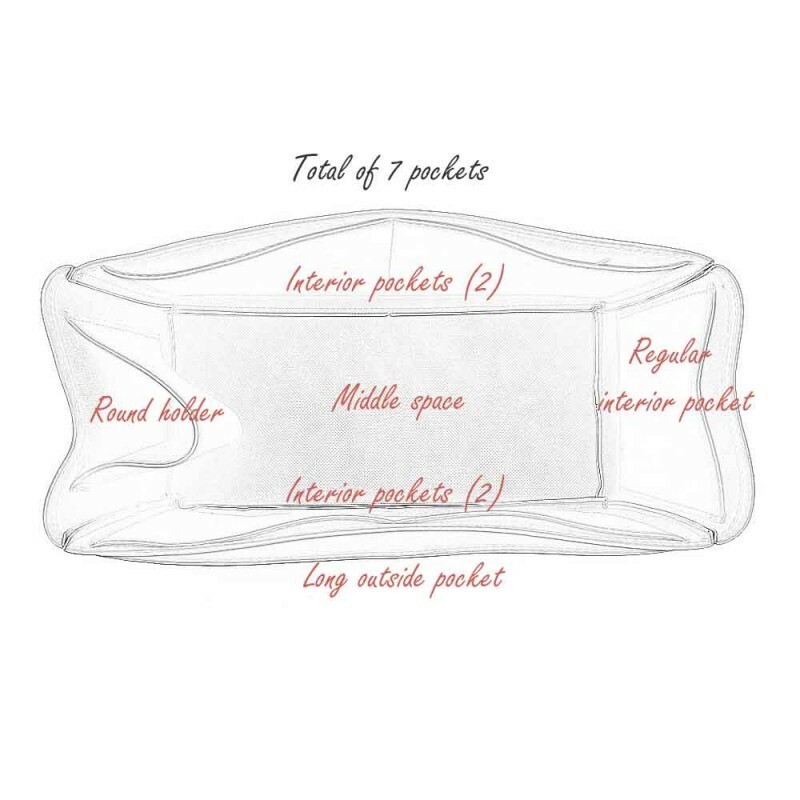 We recommend “vinegar” to be applied as a natural way to remove stains out of the material. Do not machine wash! ​Avoid using harsh cleaners since these can affect the composition of the material and make it stiff. 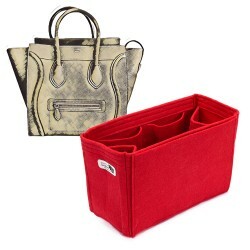 Felt purse organizer for Celine Mini Style Many women are in distress with the messines..